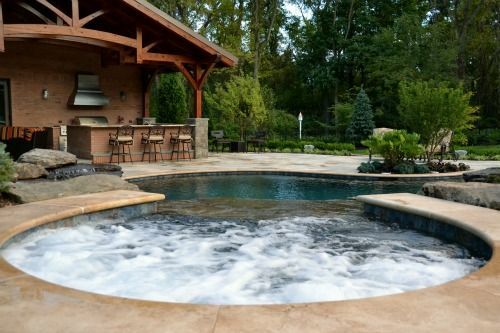 This expansive inground swimming pool is equipped with a custom water feature, built in spa, fire pit and benches, as well as a cabana and outdoor kitchen and bar. 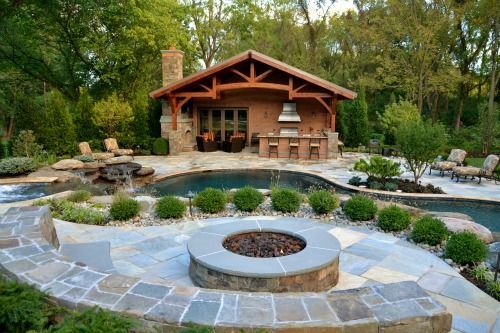 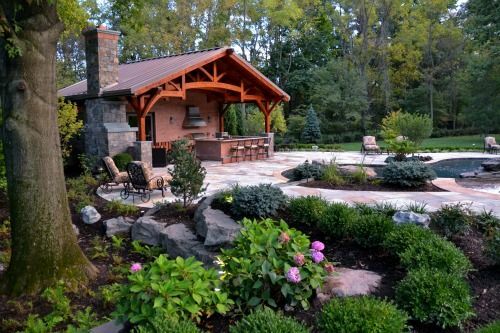 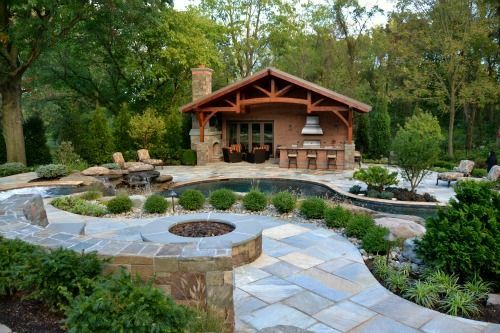 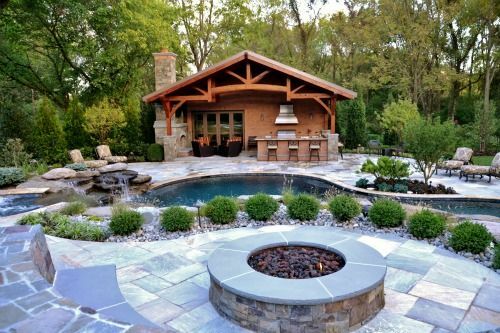 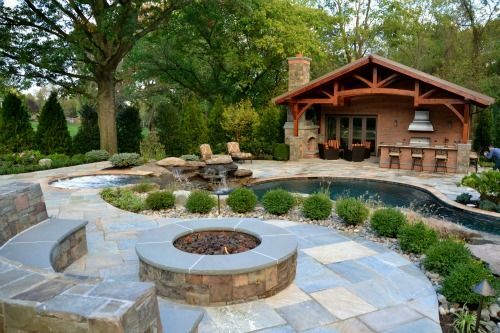 It is the ultimate backyard space. 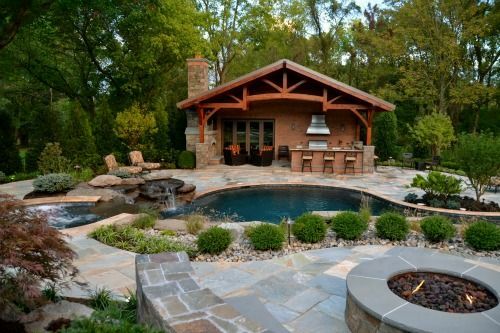 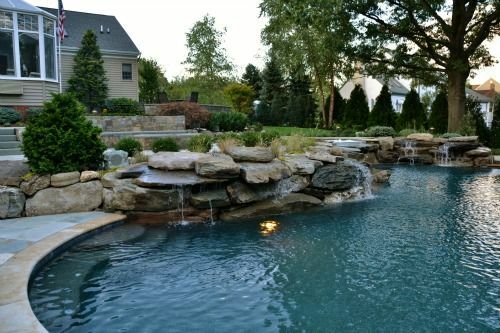 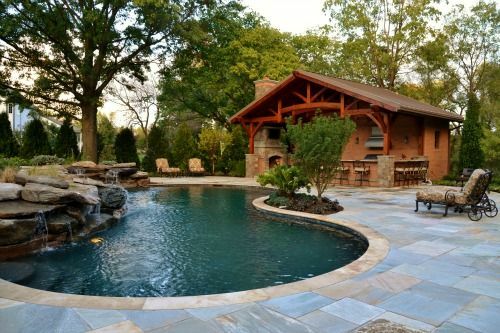 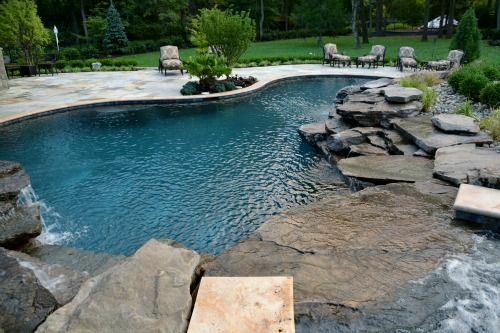 This elaborate custom pool was designed with a spacious patio area ideal for entertaining. 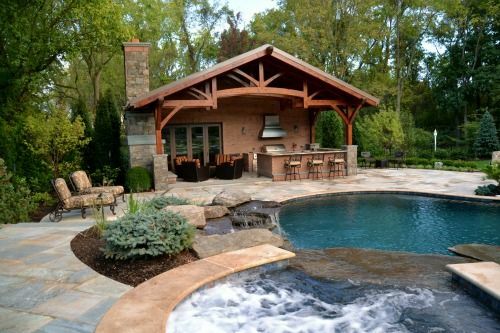 With an upper firepit area, lower patio seating space, and a generous cabana, this property is the ideal backyard for outdoor dining, entertainment and leisure.